Z ekscytacją informujemy, że naszym nowym partnerem finansowym od zeszłego tygodnia jest fundusz współzarządzany przez Noble Funds TFI oraz CVI Dom Maklerski (CVI). Sehen Sie den Erfolg der durchgeführten Ausführung für die Fachklinik in Breslau. 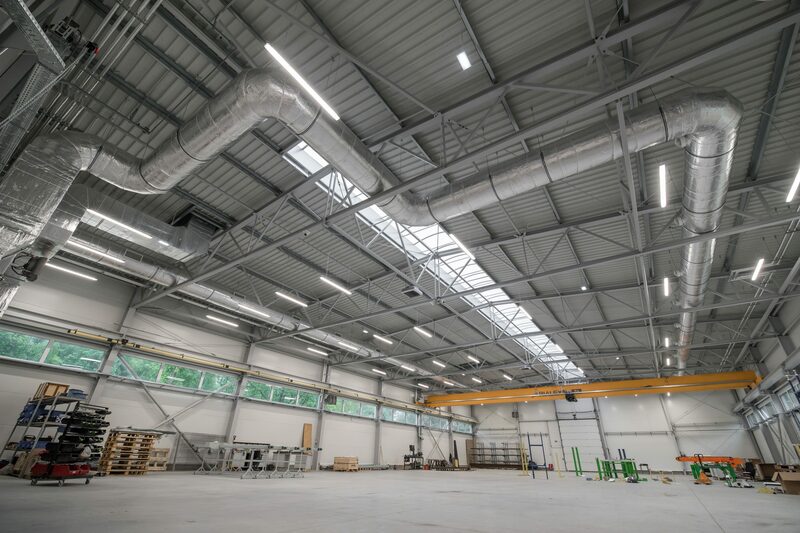 In dem modernisierten Vertrieb in Lodz wurden Industrial:LED verwendet. 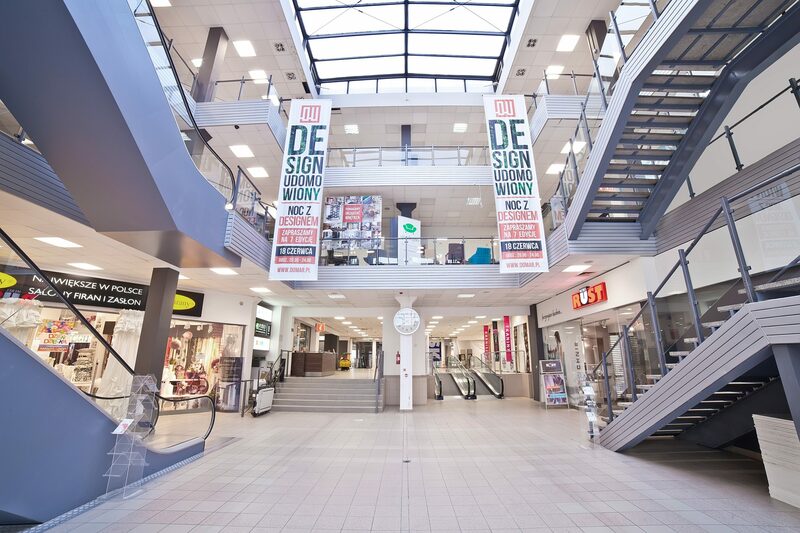 One of the modernizations involved a store in Wrocław, where LED lighting lines were installed. 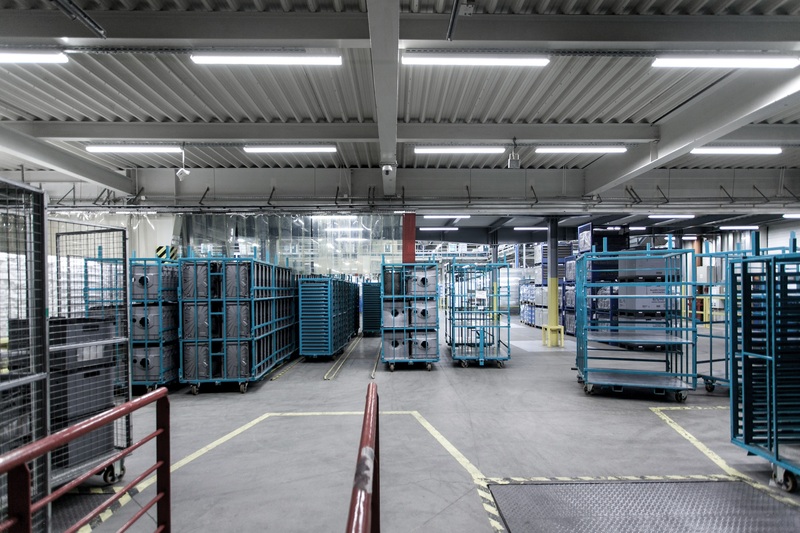 The company's headquarters is in Olsztyn and the lighting modernization based on energy-efficient LED luminaires was carried out there. 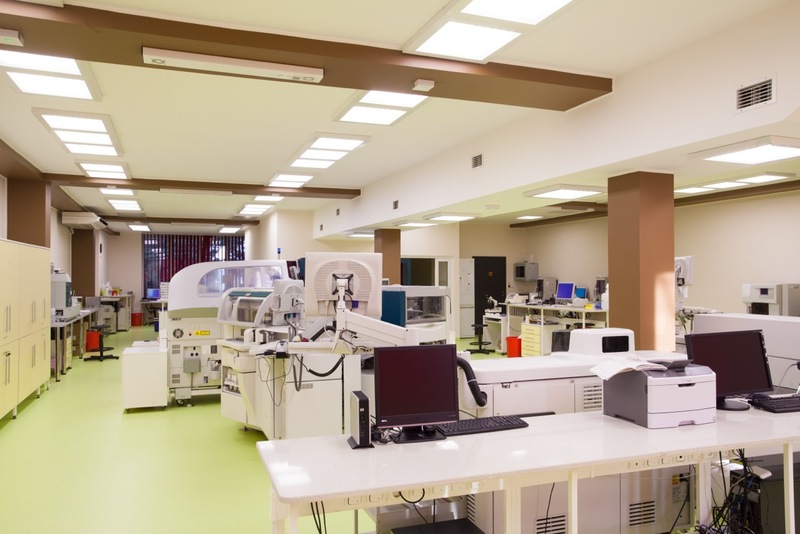 Check the project for Baxter, a well-known drug manufacturer. 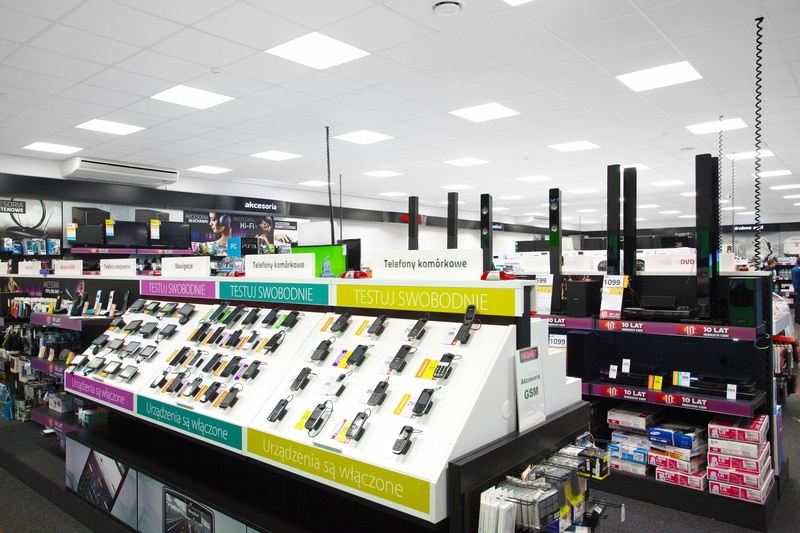 To improve the conditions in the store space, Industrial:LED hermetic luminaires of high efficiency were used there. 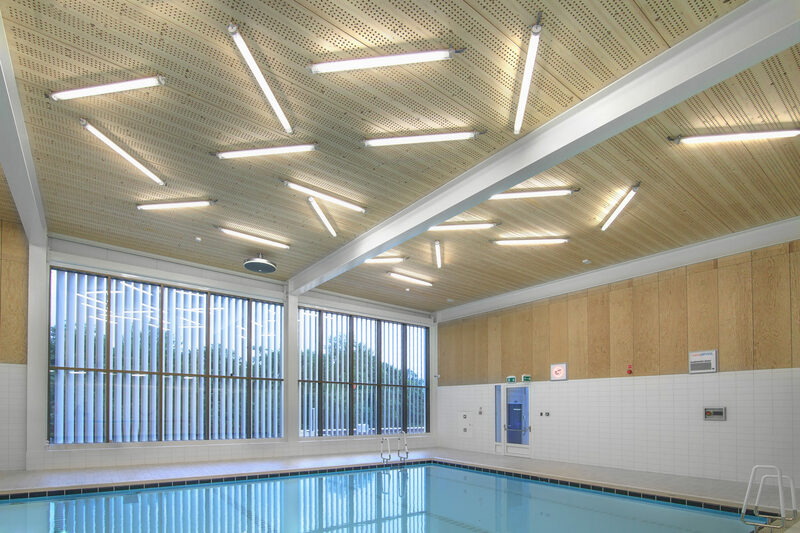 The modern interior of the swimming pool was illuminated with a non-standard series of Industrial:LED and Downlight:LED luminaires (surface and recessed version). 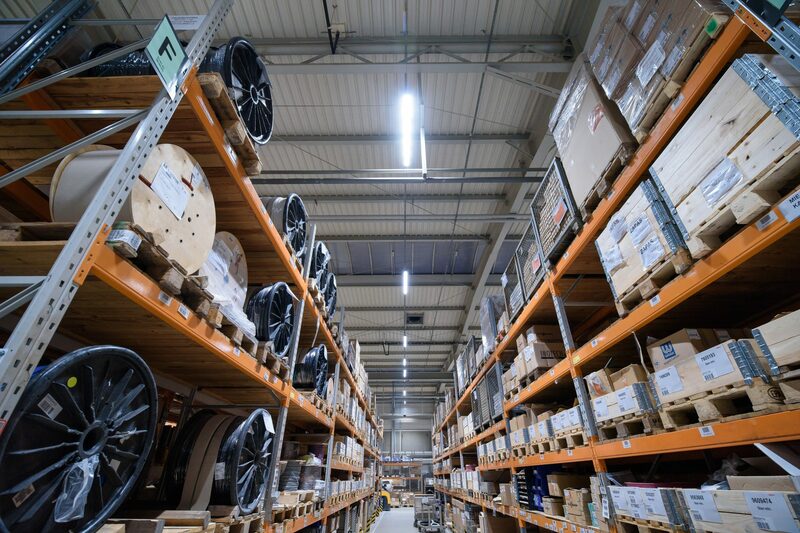 Luxon LED carried out a lighting modernization in the production hall in Mińsk Mazowiecki, where Highbay:LED luminaires with color temperature of 5700K were used, facilitating concentration and work comfort. 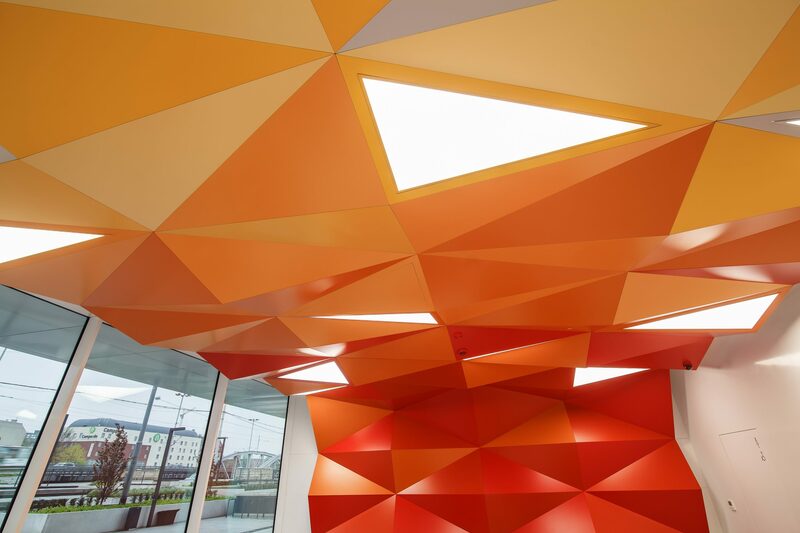 For the purposes of this implementation, a non-standard version of surface-mounted luminaires was created, which emphasized the geometric nature of the ceiling as well as the elegant and bright interior. 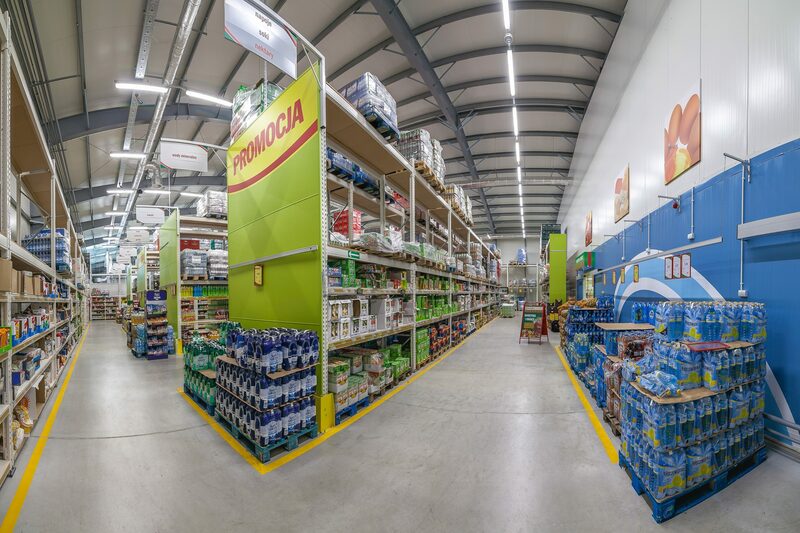 For PepsiCo we created a lighting design which, together with the control system, optimized the possible energy consumption savings. 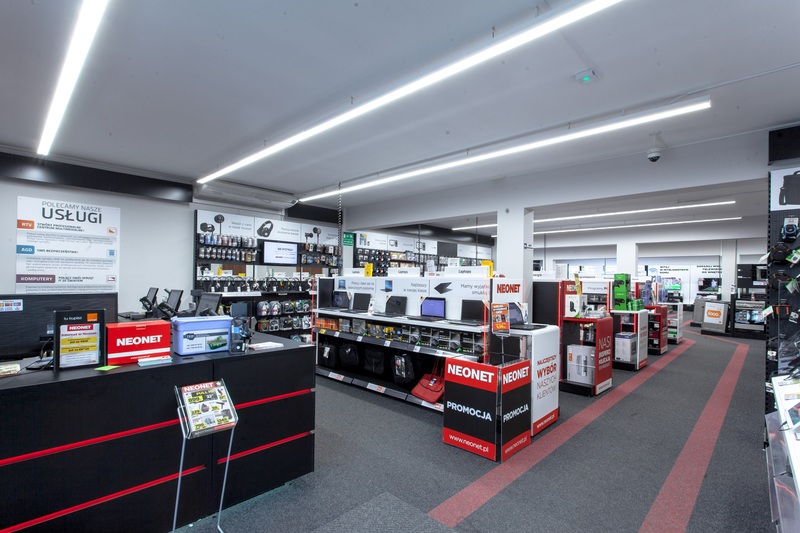 The well-known chain store E.Leclerc carried out a lighting modernization. A system of light lines illuminated the shelves. 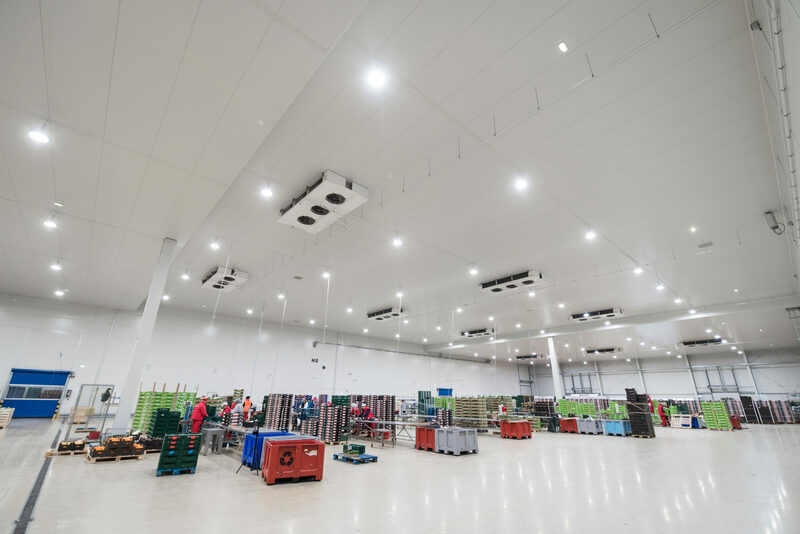 In order to improve the working conditions and obtain a higher level of light intensity, the following luminaires were used in the project: Industrial:LED, Highbay:LED and Edge:LED (recessed). 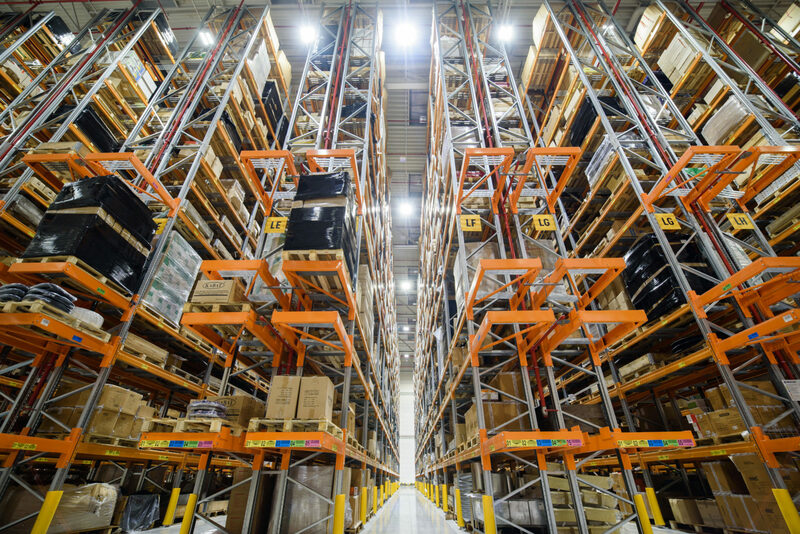 What does the high storage warehouse look like after the lighting modernization? Wie sieht das Hochlager nach der Modernisierung aus? 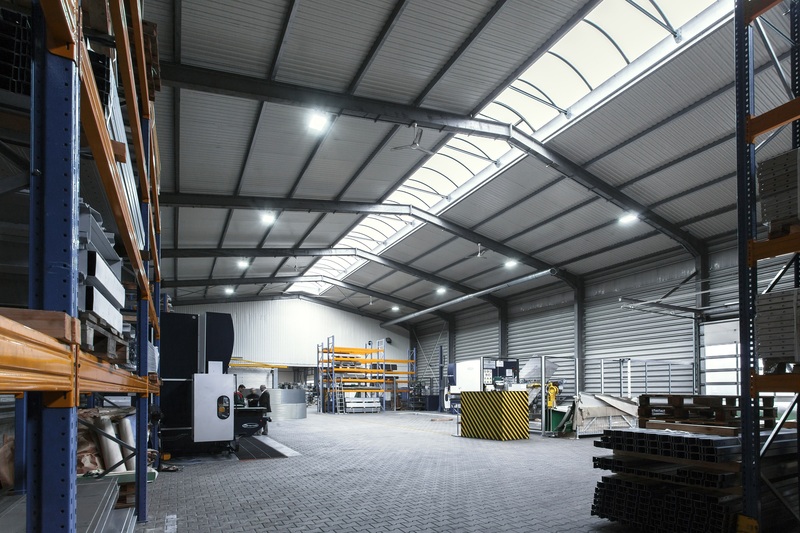 Viessman decided to modernize the lighting system in the production hall and the warehouse. 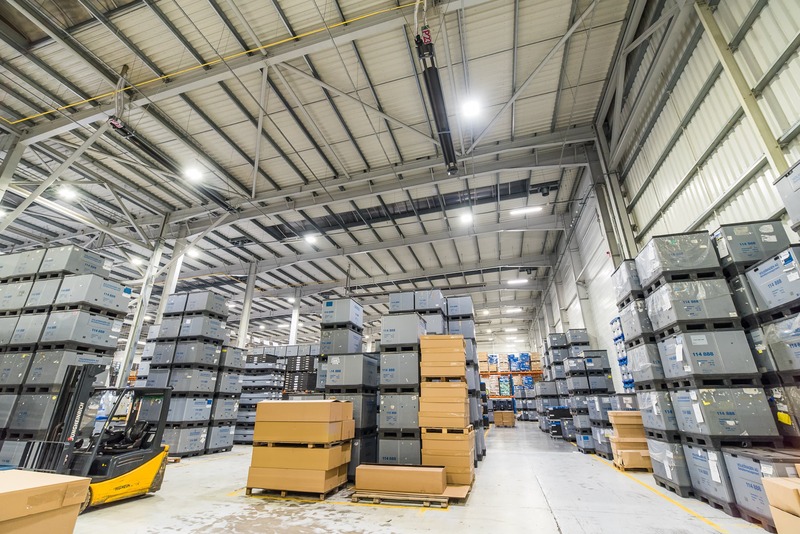 Industrial luminaires and LED floodlights. 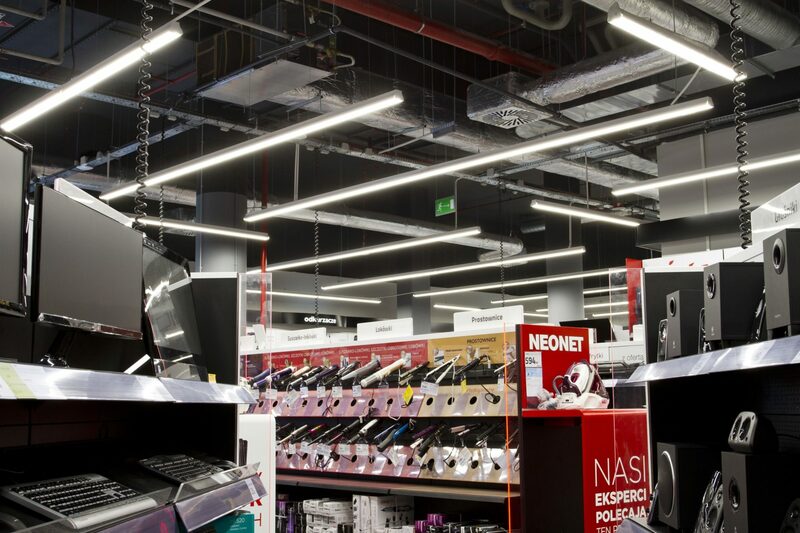 Check our lighting project for Neonet. The company decided to modernize the lighting together with the control system. 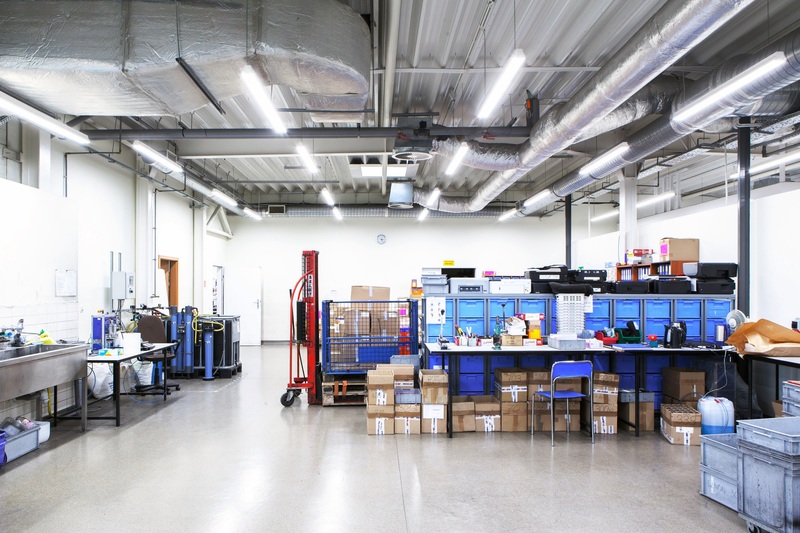 In order to improve the level of illumination, Ultima:LED and Industrial:LED luminaires were used. 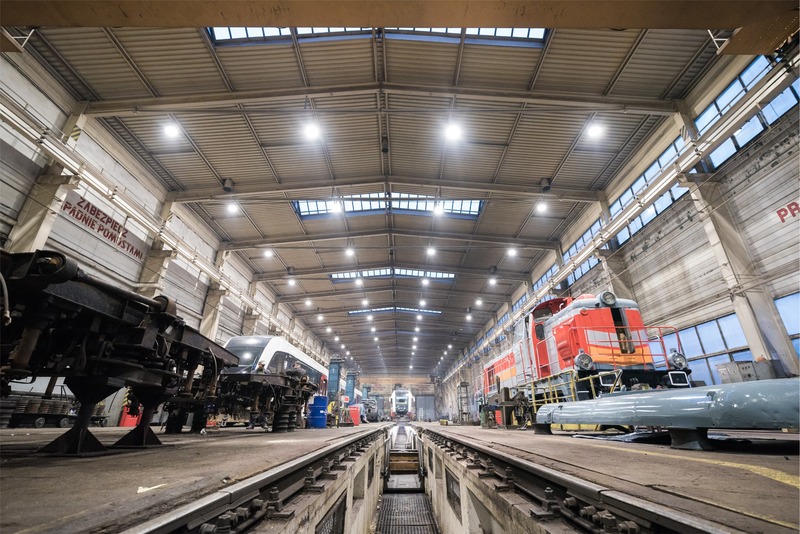 The lighting project included the modernization of general and emergency lighting. 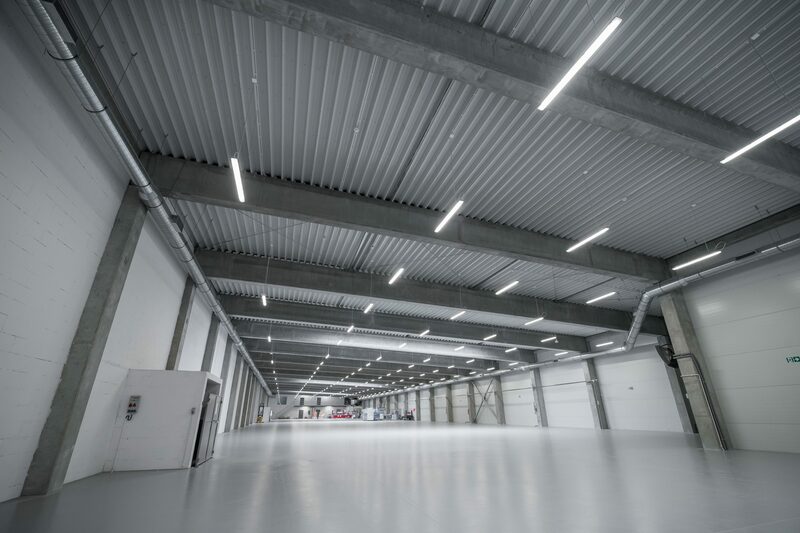 Euroimpex, a company with a Polish unit in Góra Kalwaria in Mazovia Province, decided to modernize the lighting installation. 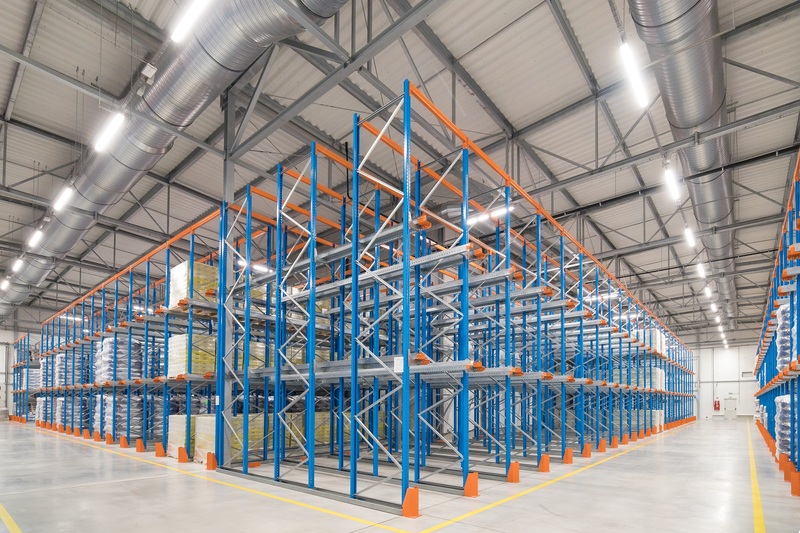 The modernization included the cold store. 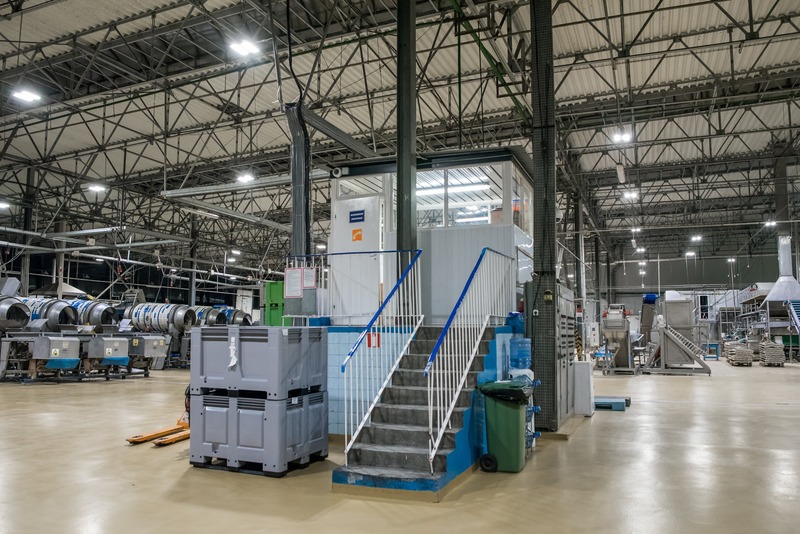 Für die Optimierung des Energieverbrauchs in den Hallen hat man sich für Industrial:LED entschieden. 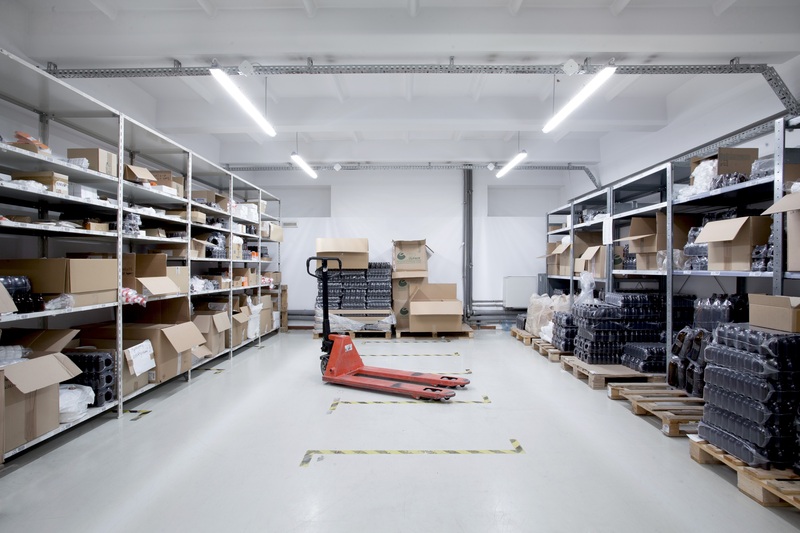 Designers suggested Industrial:LED hermetic luminaire with high luminous efficacy. 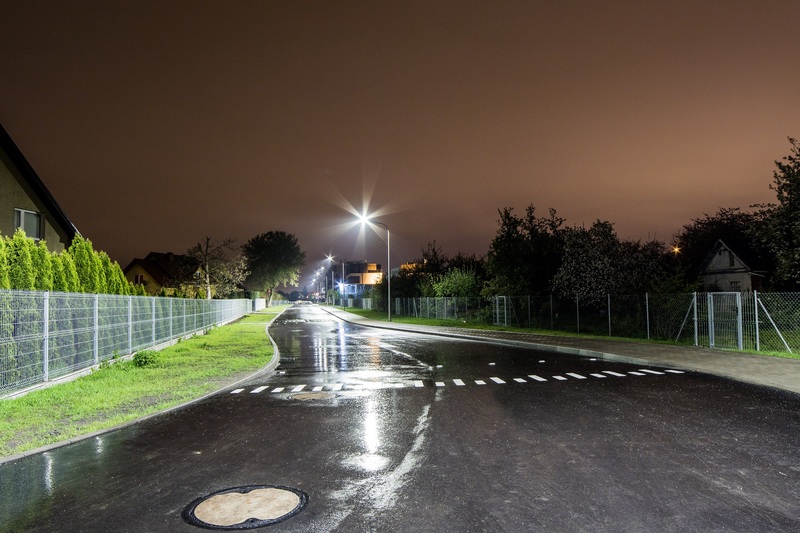 The project aimed to improve the safety of pedestrians moving nearby the detached houses. 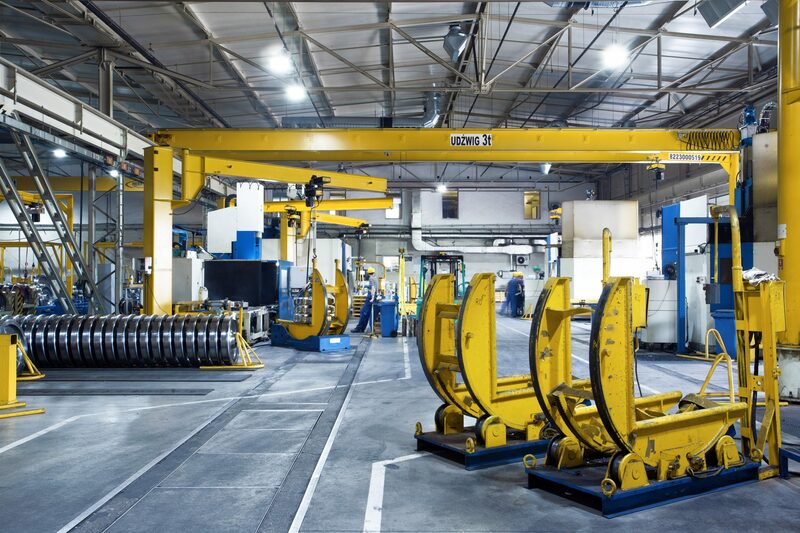 In industrial facilities of the automotive industry, the precision of the works performed is very important. 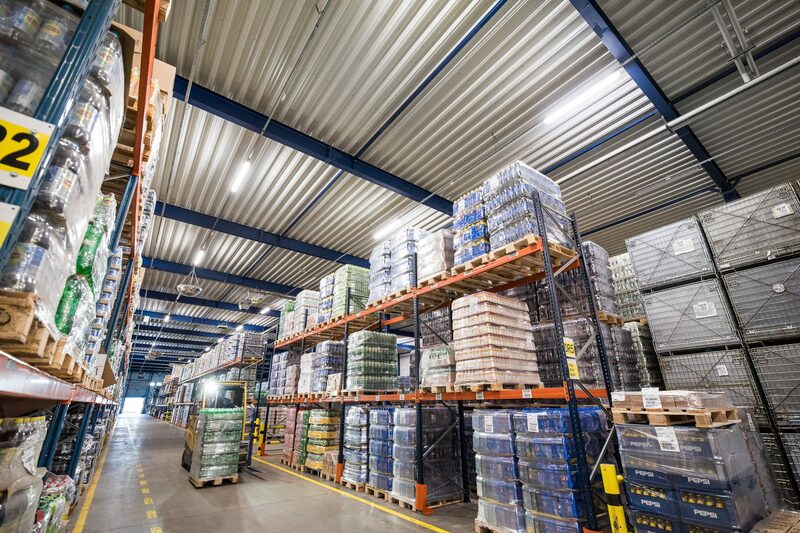 That is why Luxon LED designers suggested using Highbay:LED. One of the projects deriving from our long-term cooperation with Neonet. 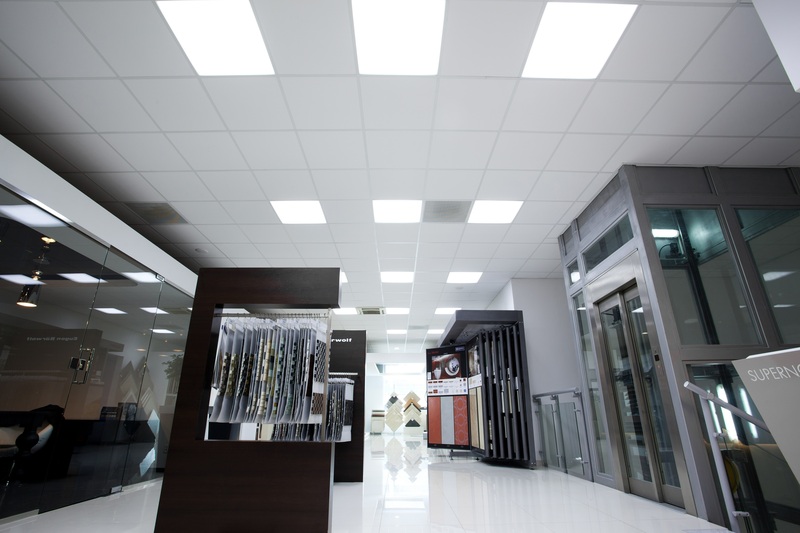 Check our project for the retail facility where a system of light lines was used. 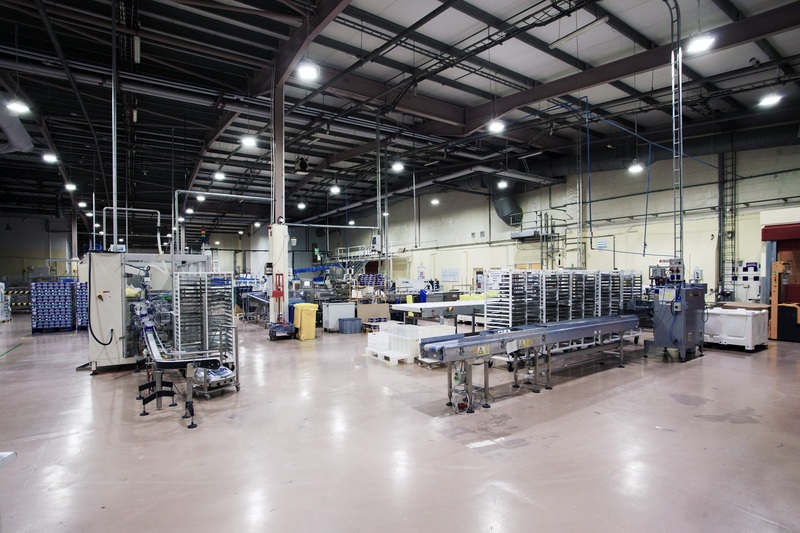 See how to combine a modern design with generating savings. Check our lighting project for the drug producer. 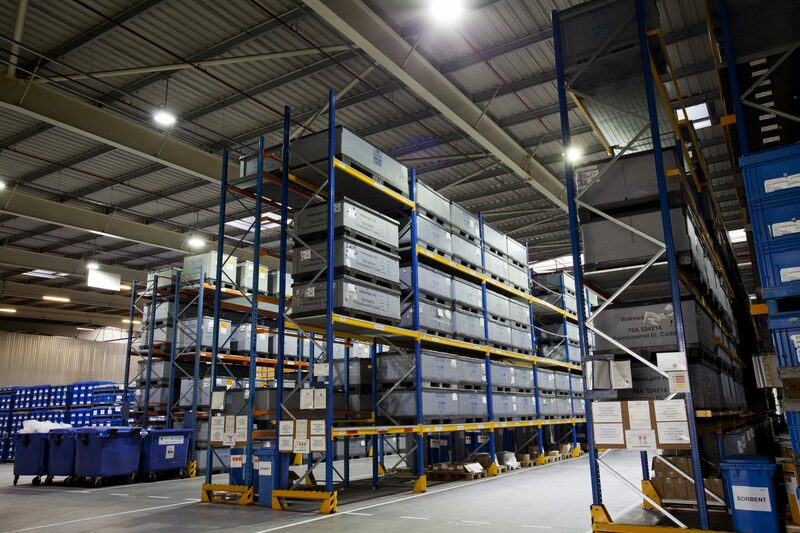 Higher light intensity in the storage parts of BSH facility. Check the results of our project for Cermag. 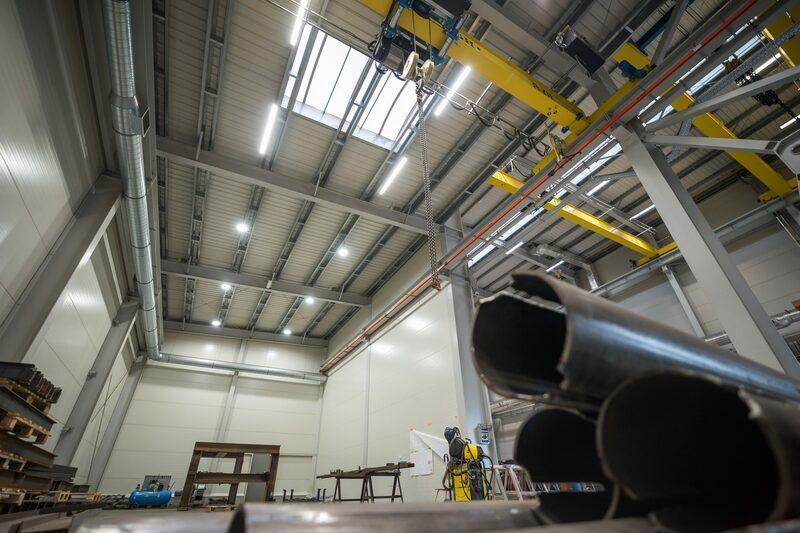 We conducted a lighting modernization in Schwarte production facility. See the results. 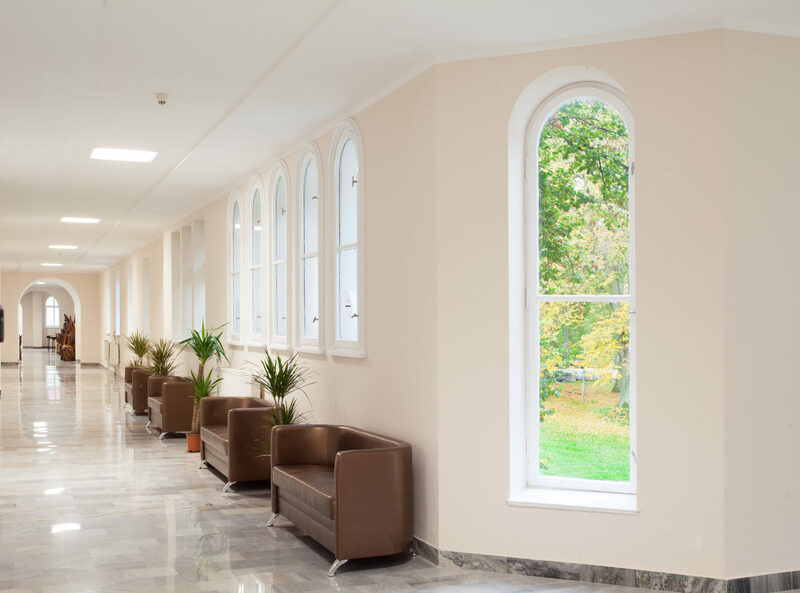 See the project implementation for the health resort in Połczyn. 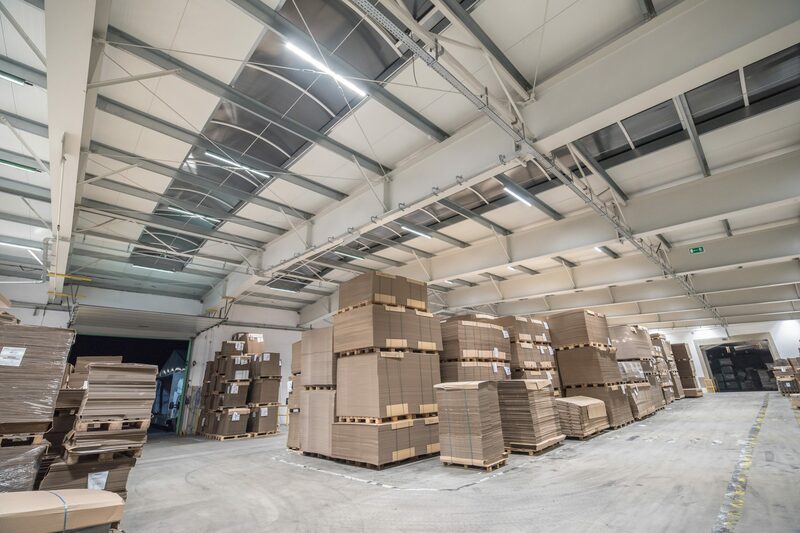 Industrial:LED with luminous efficacy of 185lm/W for Pryzmat. 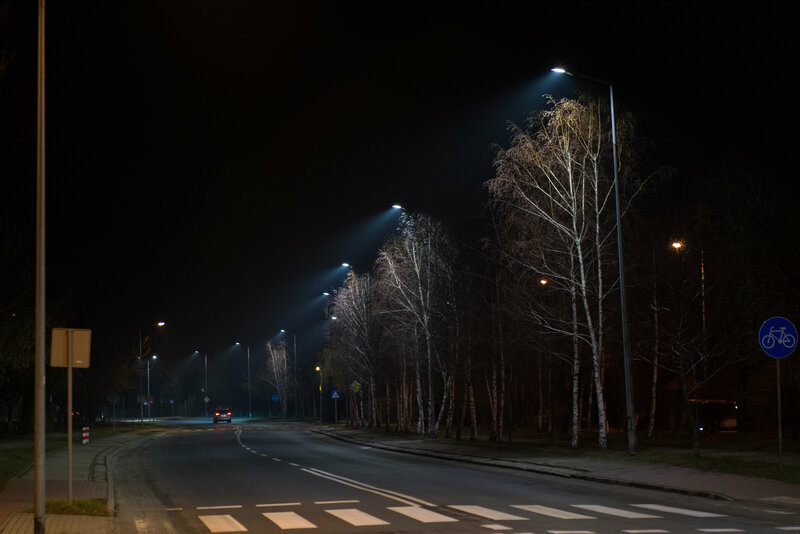 Increase of illuminance and reduction of costs. See the project. 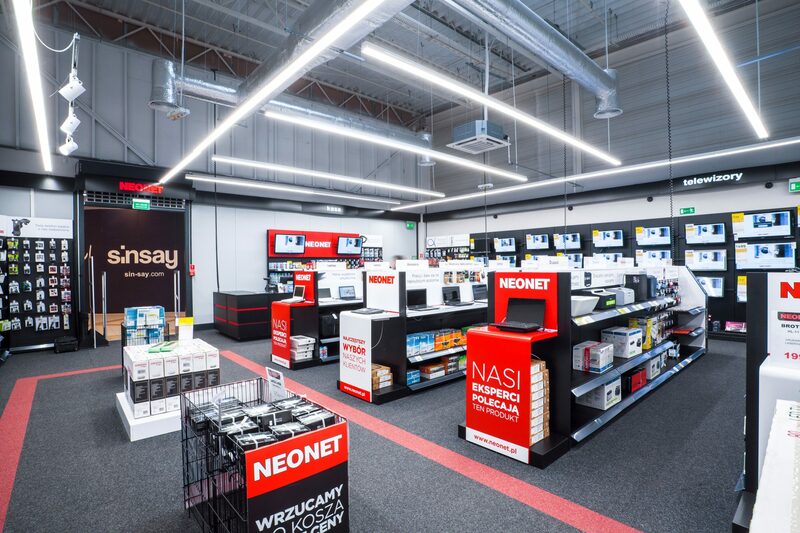 Neonet: what does the store in Łowicz look like? 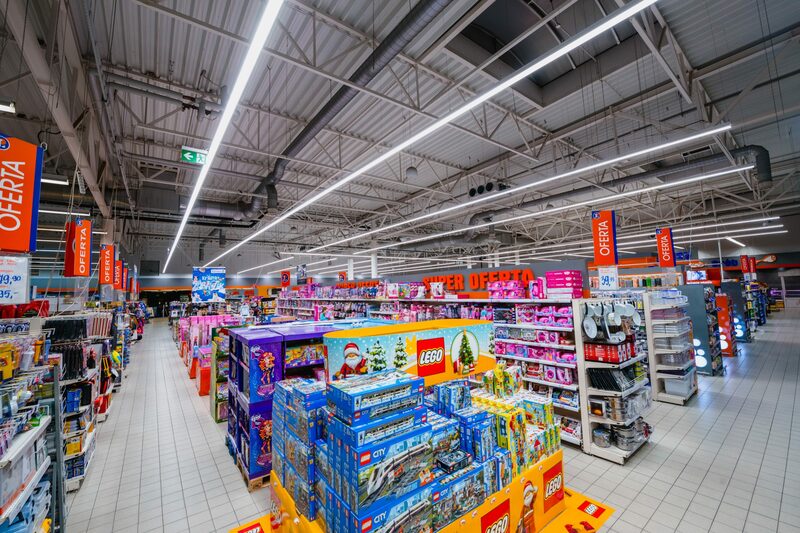 A system of light lines was used to display the products on the shelves. 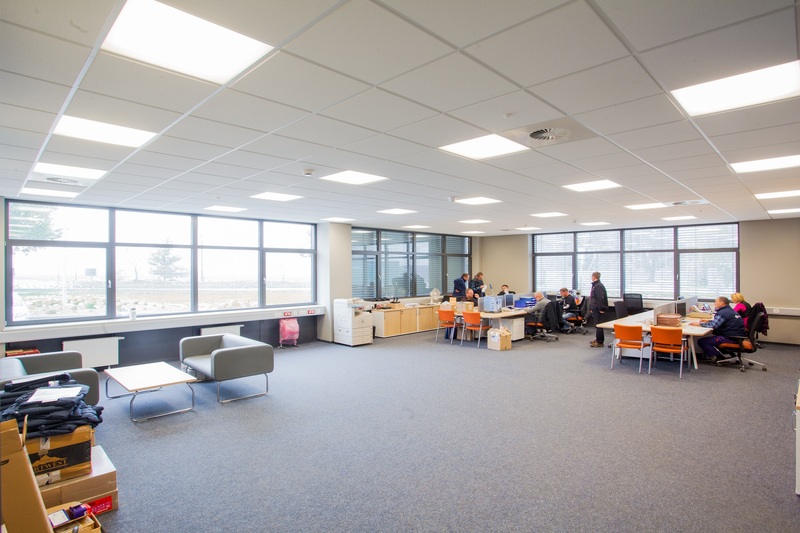 Office lighting in LED technology modernized the interior of the department, at the same time it allowed to create very good working conditions in the illuminated rooms. 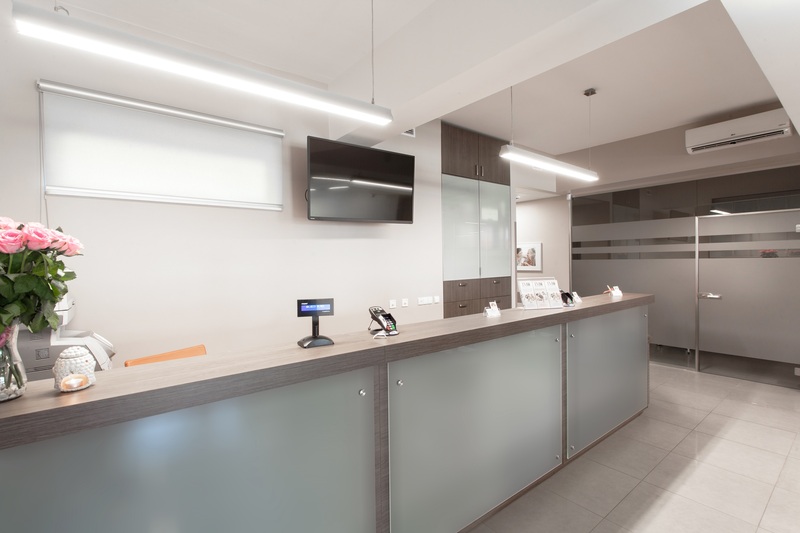 The clinic in Sztum did not only acquired modern technology, it also took care of its patients thanks to the lighting design. How did the implementation for the Polish Academy of Sciences go? See photos. 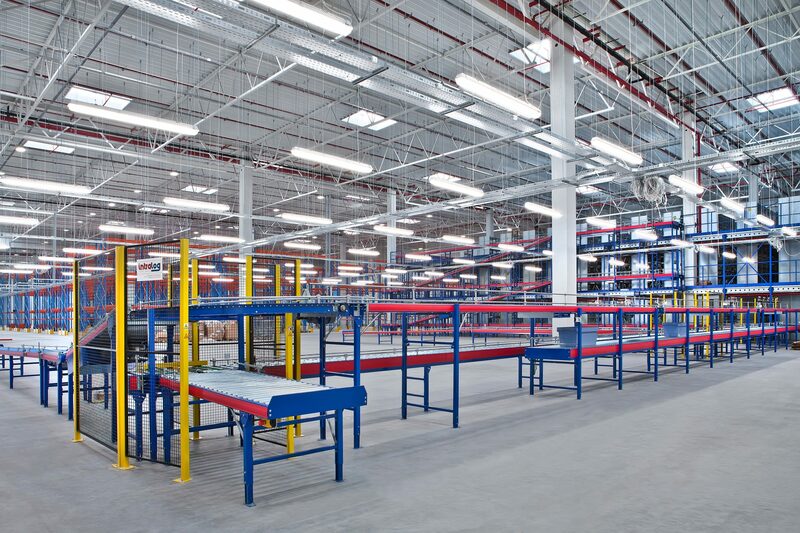 Check the modernization of the pharmaceutical warehouse, where the lighting in the storage parts was replaced. Riela: what is the rate of savings a production plant can achieve? 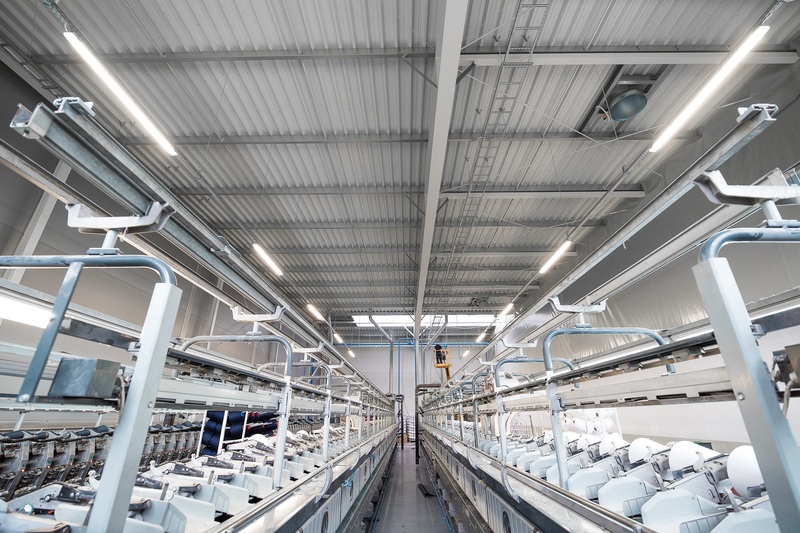 How does lighting modernization affect energy consumption? Customers save up to 60%. 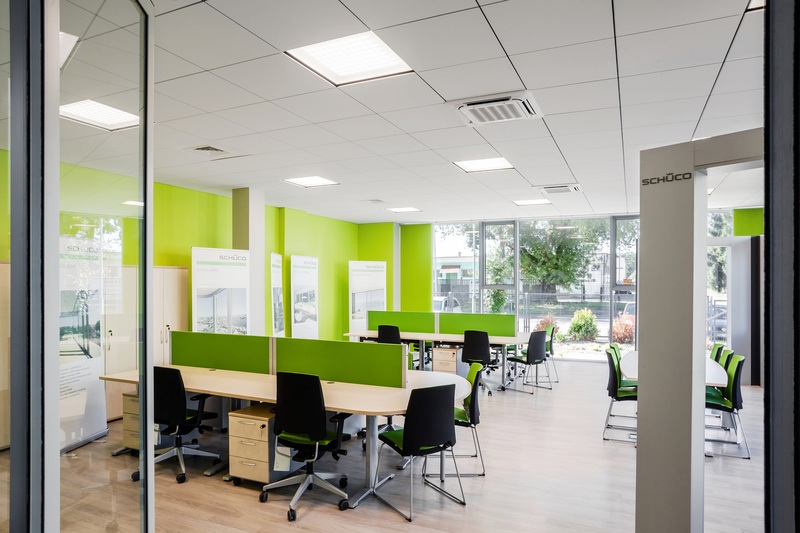 How has the work comfort in an office building in Goleniów increased? 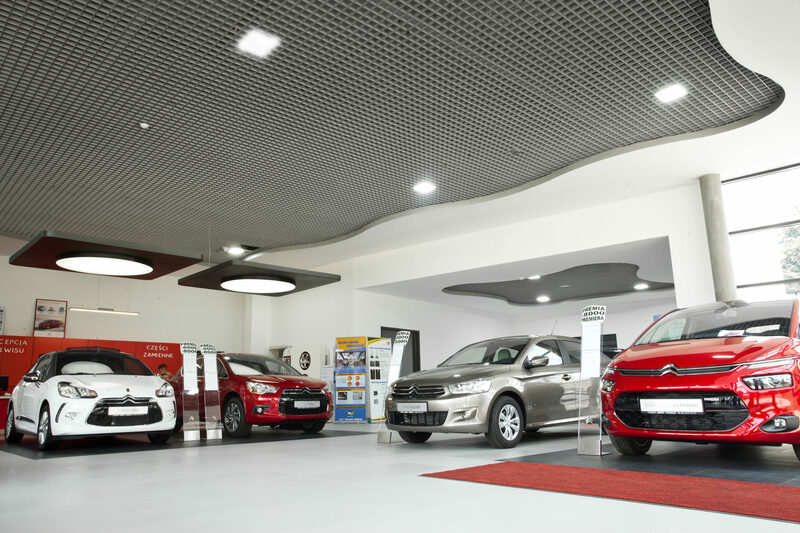 Car showroom is a demanding space that should attract the attention of the customers. What type of lighting should be used to achieve it? 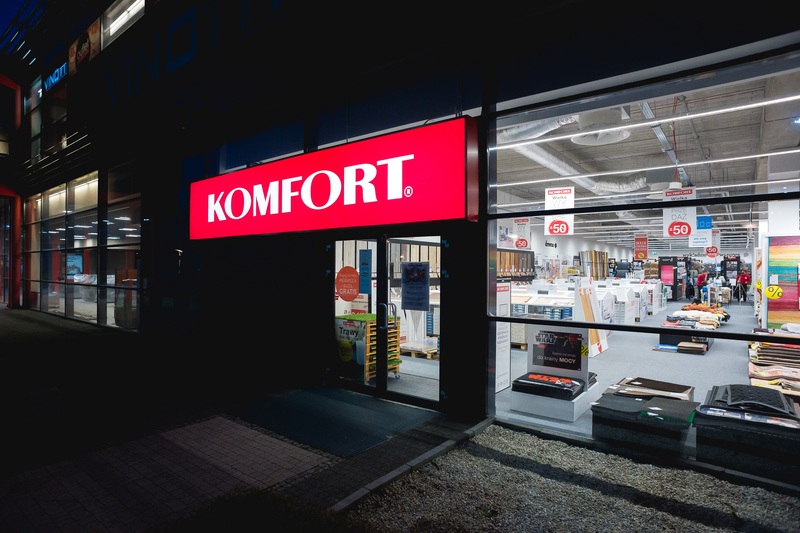 See the implementation in a Stokrotka store. We used a system of light lines. 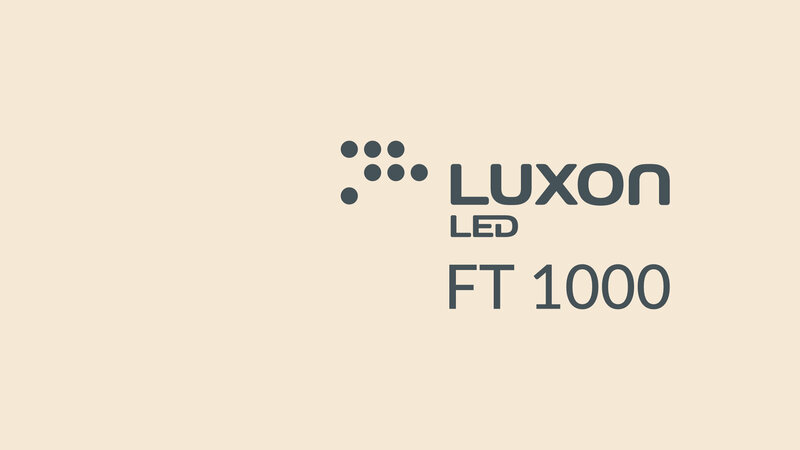 The Silesian Analytical Laboratory is one of the first Luxon LED realizations. 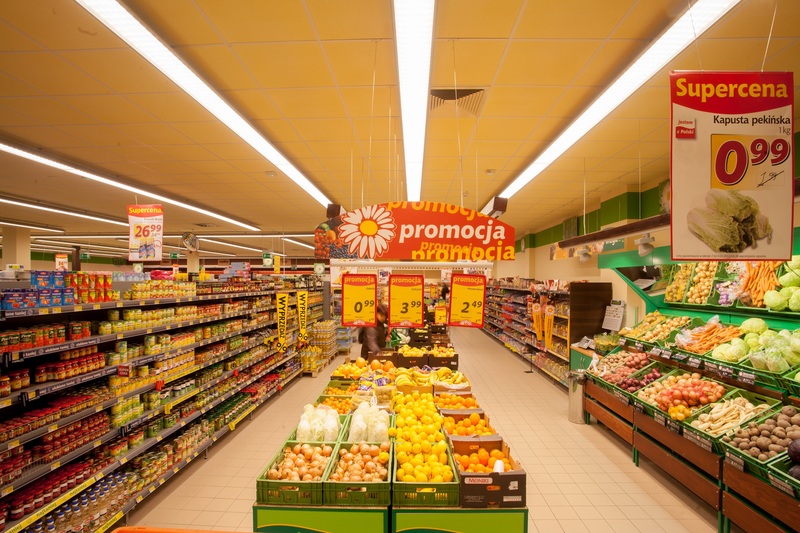 AMPLUS is one of the leading Polish producers and distributors of fresh fruit and vegetables. The company has been operating for 25 years, providing wholesale deliveries worldwide. 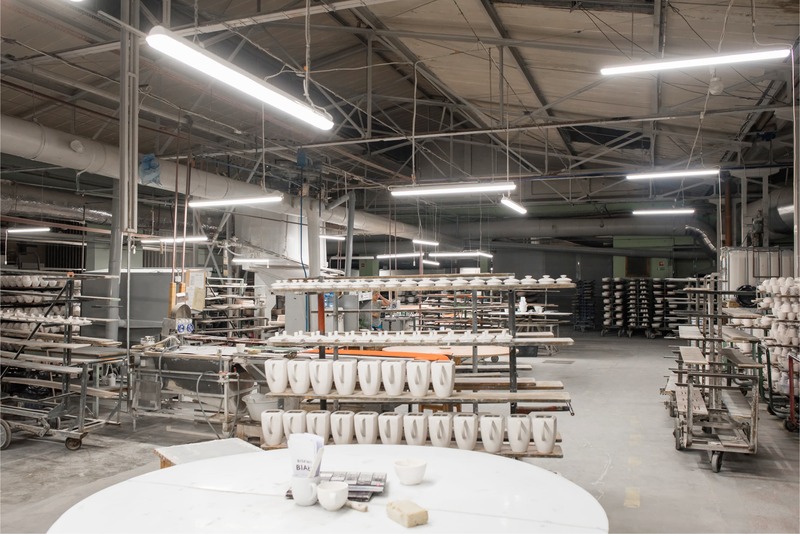 The Karolina production facility is a company with a 150 year old history of delivering porcelain serveware. 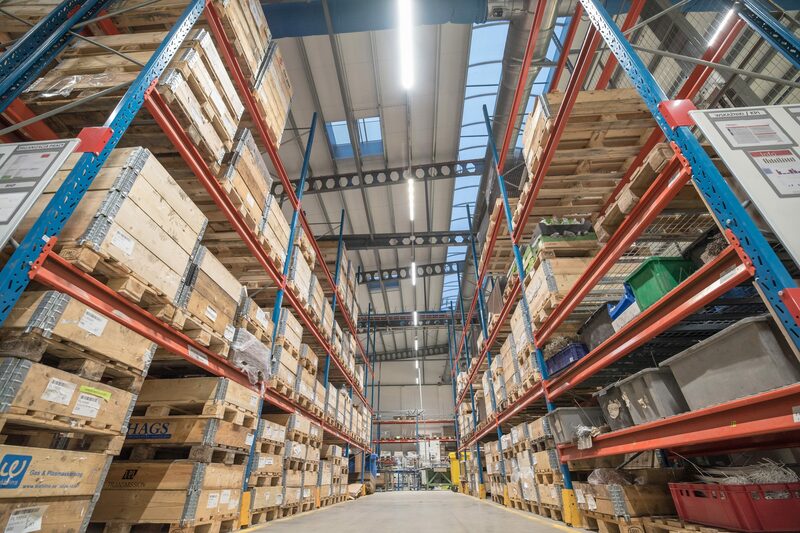 The organization is ranked high among European manufacturers and their wares are widely recognized not only in the EU but also in the USA and Egypt. 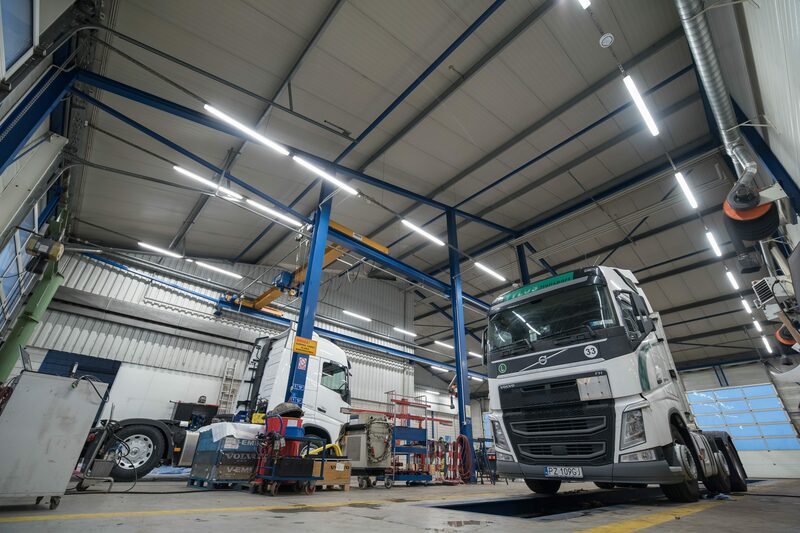 We've upgraded the lighting system in the whole facility, including the Quality Department which allowed to precisely rate the quality of each production batch. 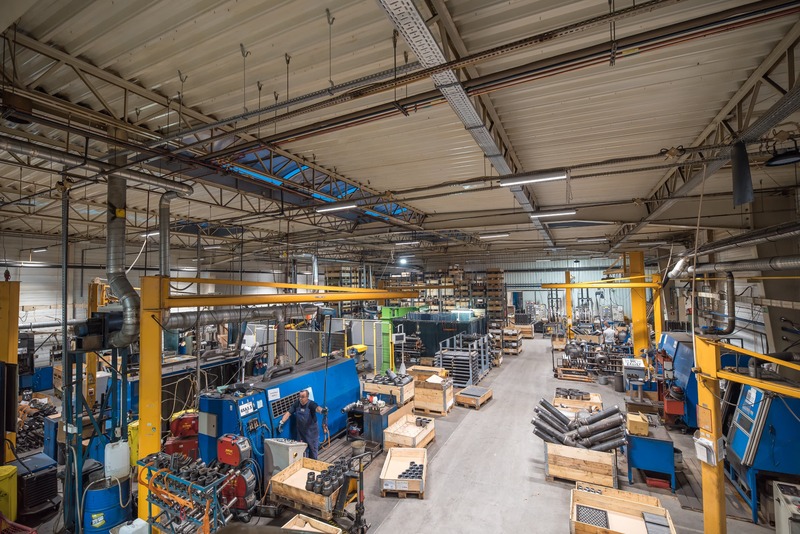 The railway maintenance facility in Chojnice provides repair services in the northern Poland. HORTEX is a well-recognized brand in Poland, oriented at manufacturing juices, nectars, beverages. 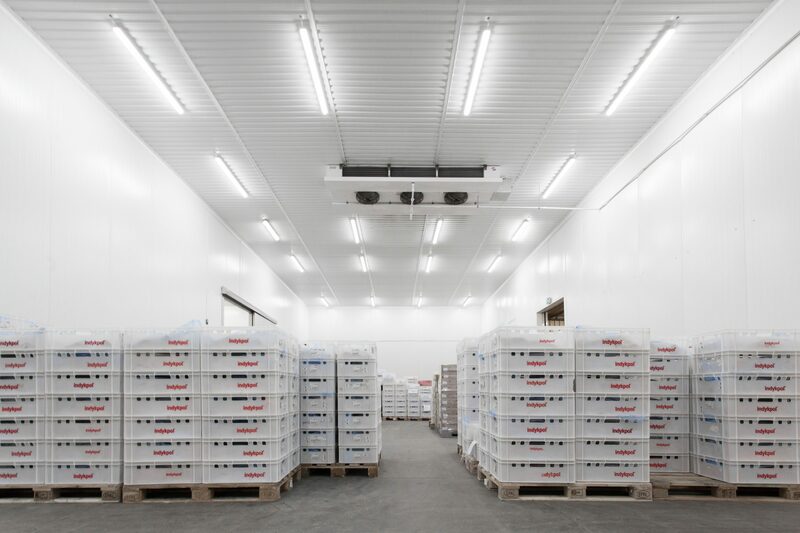 Preservation of natural flavors of vegetables and fruits through freezing is a strong pillar in the company's activity. 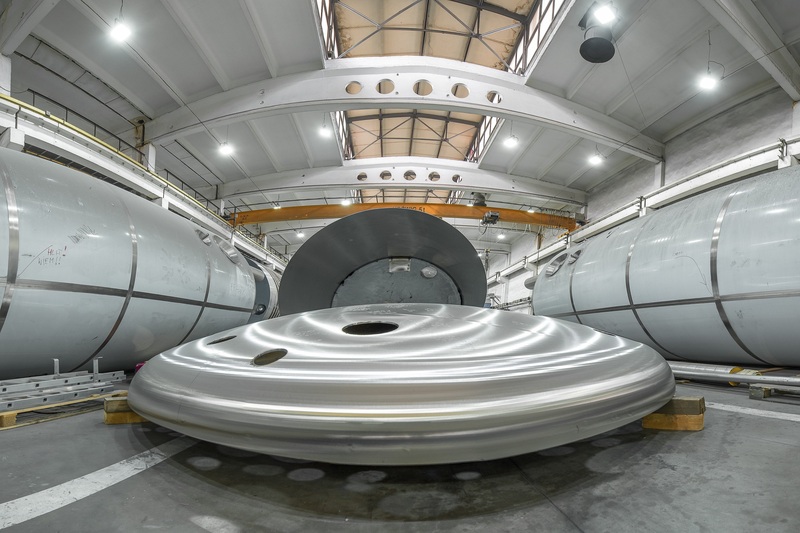 Industrias Alegre is a Spanish family-owned company – a global manufacturer and supplier of parts for the largest automotive companies. 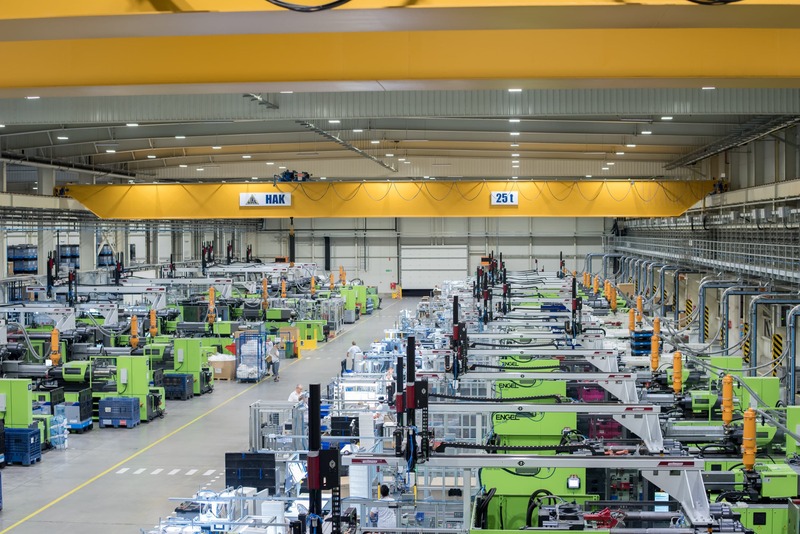 In 2017, a large production centre manufacturing parts for Ford vehicles started its operations in Biskupice Podgórne, Kobierzyce commune. In the Miękina comune, plots, allocated for an investment zone are being prepared. The first stage of the investment, includes development of street lighting on the roads leading into the subzone. A reliable implementation is of great importance to the comune, because those roads are linked with the National Road no. 94. 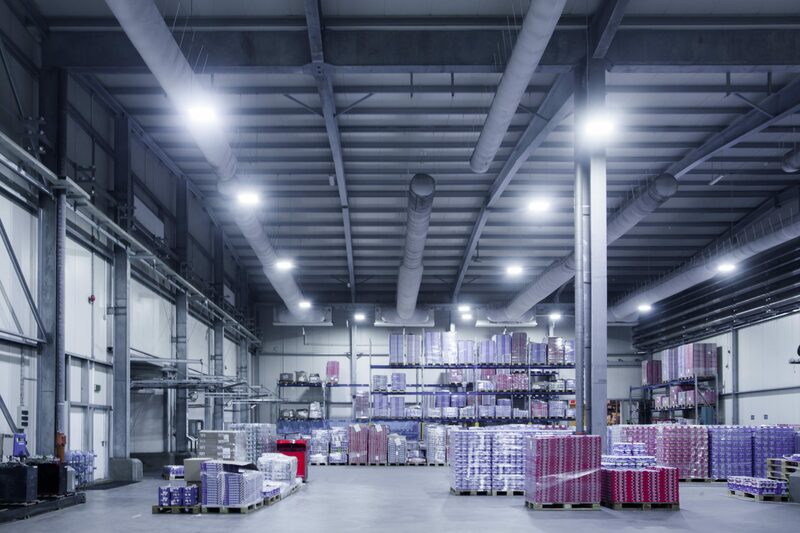 Twice less energy consumption three times more light intensity. 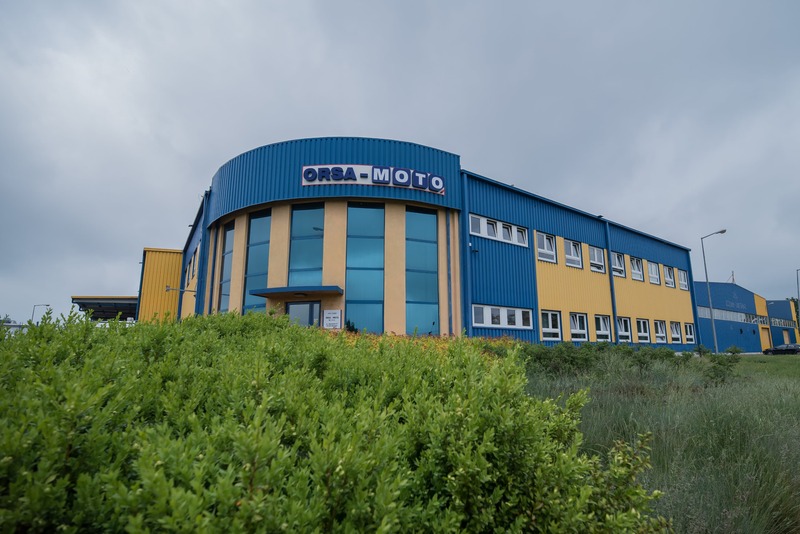 This is are the final results of the lighting upgrade at Orsa Moto. 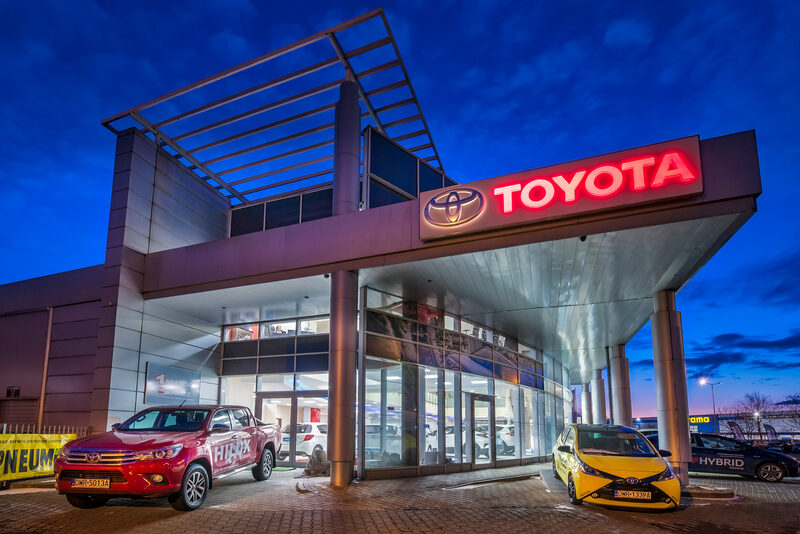 Find out more about our solutions. the exhibited goods. We've also designed an individualized Backlight:LED fixture. Simoldes Plasticos tis the biggest manufacturer of synthetic casts in Europe. 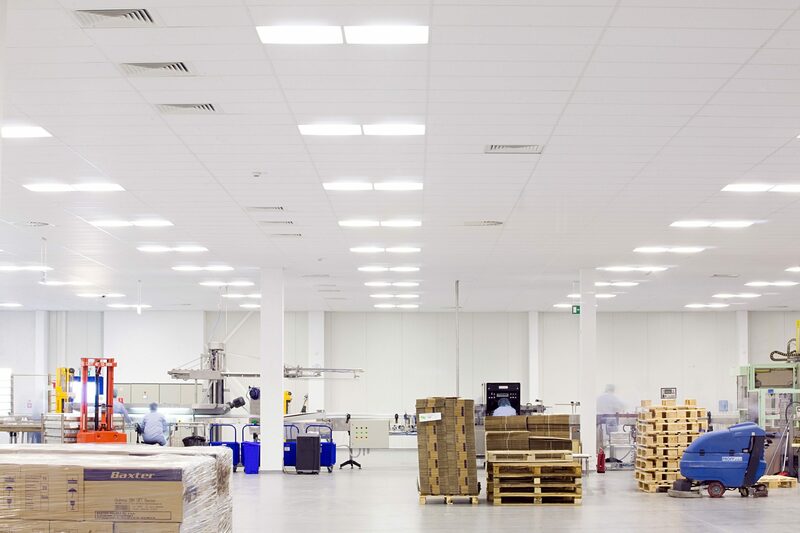 The main challenge we faced was to exchange the luminaires with an ongoing production process. 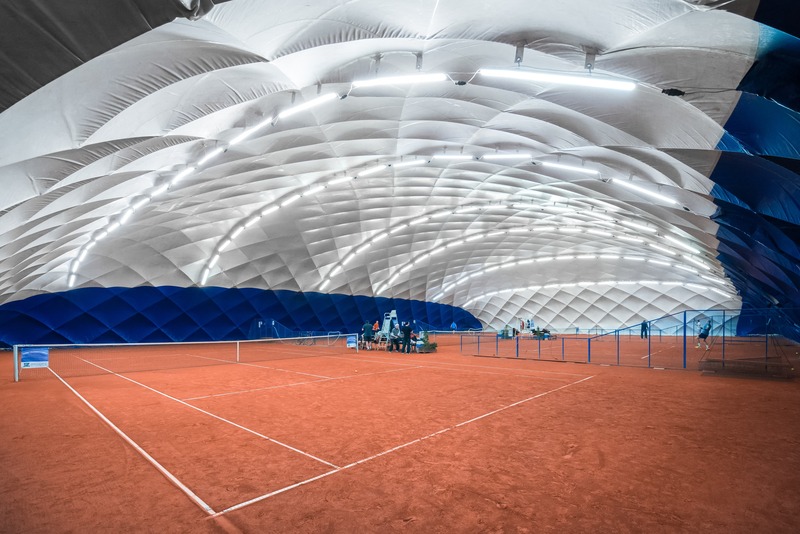 Centrum sportowe Redeco składa się z kilku obiektów na terenie Wrocławia o charakterze sportowym i rekreacyjnym. 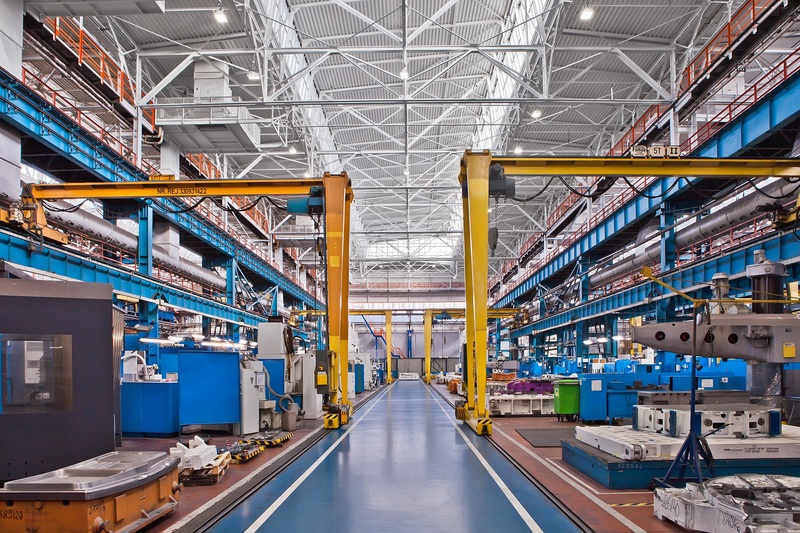 Kramp is a complex supplier of spare parts, technological and business solutions. The company is a strategic business partner for enterprises from various industries: agricultural, forestry and greenfield care, earthwork contractors and OEM.